What Is the Formula for Calculating the Total Return on a Stock? When you invest money in stocks, you need to know how to calculate your total return. The total return takes into account all of the costs and all of the proceeds of your investment. Knowing the total return helps you make better evaluations of the performance of your stock purchases and sales. When thinking about the cost of investments, most people think of the purchase price of the stock. However, most stock purchases require an additional cost to acquire or dispose of called commissions. The commissions that you pay lower your total return on the stock because it eats into your profits. You can calculate the cost of purchasing a stock by multiplying the stock price by the shares bought. For example, if you purchase 100 shares at $49 per share, the total cost equals $4,900. For growth stocks that pay few dividends, the total return will not be affected if you forget to include dividends. However, many more mature companies pay significant dividends that radically change the total return on the stock. If an investment pays cash dividends, add the amount to the total return. If it pays stock dividends, add the value of the stock when you sell it. 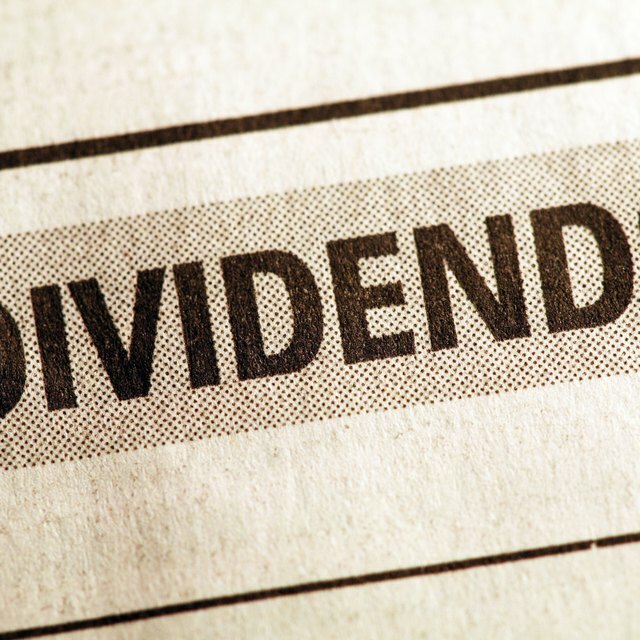 For example, if you receive an extra five shares of the stock and you sell them for $50 each, your total return is increased by $250 from dividends. To figure your total return, add total proceeds from your selling price for the investment to the dividends received to find your total proceeds. Next, add the commissions paid to the cost of buying the investment to find your total costs. Finally, subtract the total costs from the total proceeds to find the total return. For example, if you sell your stock for $5,000 and received $250 of dividends, your total proceeds equal $5,250. If you paid $25 to buy the stock, $25 to sell the stock and $4,900 to buy, then find your total costs equal $4,950. Finally, subtract $4,950 from $5,250 to find your total return equals $300. Instead of using a raw number, many investors use percentages to measure their return because it gives a context for the measurement. To figure your total return percentage, divide the total return by the amount invested and multiply the result by 100. For example, if you have a $300 gain and a $4,900 initial investment, divide $300 by $4,900 to get 0.0612 and multiply by 100 to get a total return of 6.12 percent.